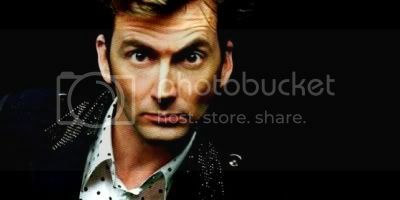 DR WHO star David Tennant predicted he would play the TV time traveller... in a school essay written 20 years ago. The 14-year-old sci-fi nut was so obsessed with the show he got his gran to knit him a long, multi-coloured scarf - just like his favourite Doctor, Tom Baker. The scarf featured regularly in his essays until English teacher Moira Robertson warned him to "exterminate" the references or he could end up failing his exams. Moira, who taught David at Paisley Grammar School, was so impressed with him that she kept a copy of his story "Intergalactic Overdose". It reads"I had a habit. It was as bad as it could get. I needed help to stop, but I didn't care. I wanted more and more. "You see, I was a junkie, a Doctor Who junkie. When I was old enough, I was convinced that I was going to play the part of the Doctor on TV." Moira said: "He must have been calling on his powers as a Timelord because he was so utterly convinced that he would be Doctor Who. "I was unaware that the bright wee boy I was teaching had the amazing power to shift time and predict the future... but he certainly did." Moira revealed David first showed his acting talent while at the school, adding: "Although he was very talented, he certainly didn't act 'I'm the greatest.' "But if there was one boy who had star quality... he was it." Tennant, 34, who will starin a two-hour Dr Who special on Christmas Day, last night paid tribute to his old teacher. He said: "She made me first realise the possibilities of great literature - J.D. Salinger, Harper Lee, Orwell and Arthur Miller. And it was Moira who first guided me towards a dim understanding of what Shakespeare could be about."